This page is dedicated to the young individuals making a difference for WIJABA in ways well beyond their years. On Thursday, November 5th, 2015, Alexa Herron turned 14 years old. To celebrate her 14th birthday, she opened a library in her name, in Chihuahua, Mexico. 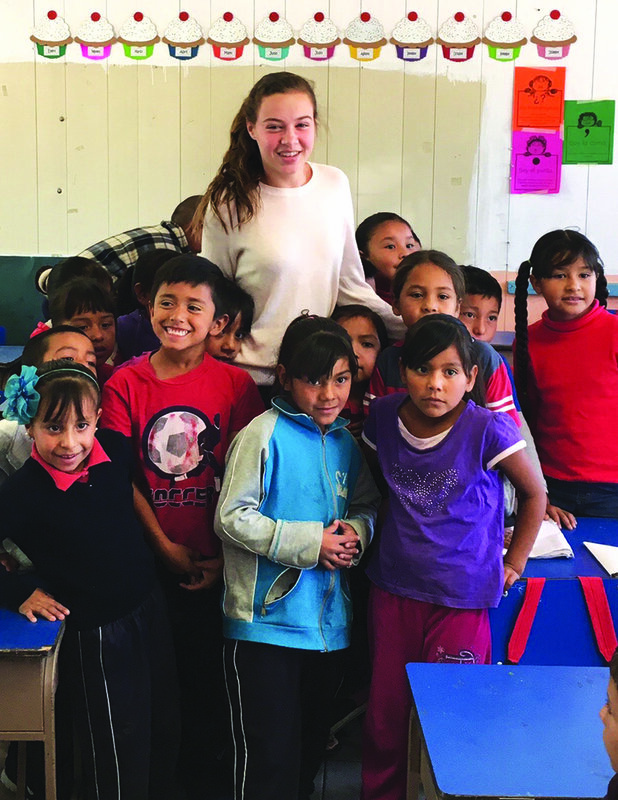 Alexa Herron is a teenager with a penchant for philanthropy and giving back. She lives in Florida with her parents and brother, who accompanied Alexa to open the WIJABA Alexa Herron Library last November. Alexa first heard about WIJABA through her mother. After learning more about the nonprofit, Alexa decided she wanted to promote our cause. "I wanted to help the kids get an education, and I love working with children," says 8th grader Alexa. Inspired by her original desire to help the children through education, she initiated her very own fundraising campaign to open a new WIJABA library for 300 children in need. Alexa launched her fundraising campaign on GoFundMe, and reached out to her family and friends, primarily through Facebook, to spread the word about WIJABA and her campaign. When the donations from her social network seemed to come to a halt, the then 13 year old knew she "had to get creative." So she sold customized dog-tag necklaces, which she engraved with the help of her mother and friend. At the end of her campaign, Alexa successfully reacher her goal of raising $12,000 and fulfilled her birthday wish by opening a new WIJABA library. When asked what her favorite part of the experience was, Alexa recounted, "A mother of one of the little girls ran up to me crying and speaking Spanish. The translator told me that she was saying something like, 'Thank you so much for making my child feel safe and helping her to get a better education.' She said that the library is safer than her house and she is happy to bring her child here. She was thanking me and saying it was all because of me!" WIJABA would like to extend a very special thank you to Alexa Herron and her family for their tremendous effort in bringing smiles to 300 children and 1,000 books to The WIJABA Alexa Herron Library at the Ignacio Manuel Altamirano School in Chihuahua, Mexico. What this video of the students singing a traditional Mexican Birthday song, Las Mañanitas, to Alexa on her birthday just before the library opening ceremony. Cybella Maffitt is a teenager from New Zealand, currently working on fundraising for her second WIJABA library. It is because of people like Cybella that WIJABA has had the success that it has so far, so thank you Cybella for all the hard work you have put in. If you would like to get a few tips on how to fundraise for a library of your own, or would just like to hear more about Cybella's fundraising, please read the following transcript of an interview with Cybella about her experience with WIJABA!